The hurt is so painful because it's unbelievable that someone you love could intentionally inflict the pain. The only way to overcome it, is to forgive the person, yourself and seek peace. 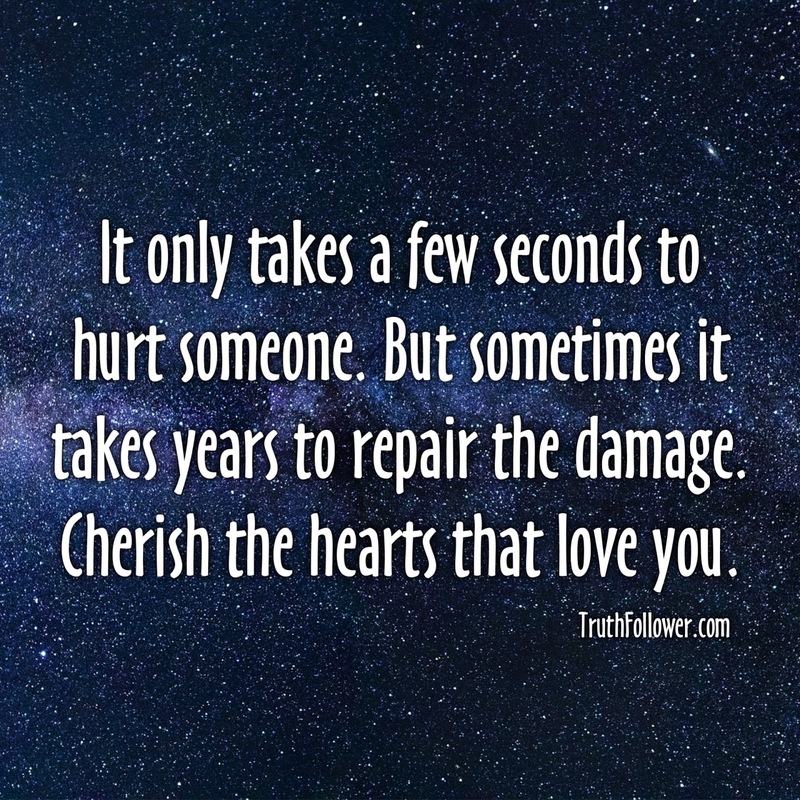 Seconds to hurt, Years to repair the damage picture/image is an Inspirational Stuff to Inspire and Motivate You. You can download pics by just clicking on the Images. Thanks for visiting Truth Follower an online place for huge collection of inspiring pictures, quotation, and Sayings Images. 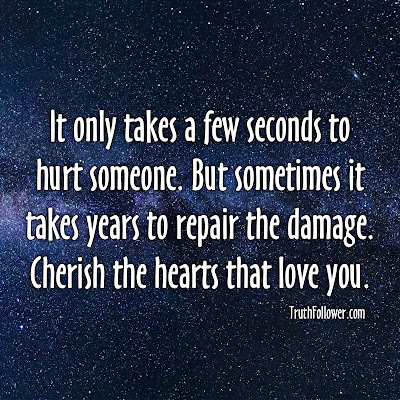 If you like Seconds to hurt, Years to repair the damage, Please Share with friends and family on Facebook, Twitter, and Pinterest.